Why don’t we eat turkey eggs? The differences among chicken, duck, goose, and turkey eggs. Why don’t Americans eat turkey eggs? Photograph by Magnus Manske/Wikimedia Commons. Americans will dine on white and dark turkey meat this Thanksgiving, with some using the giblets for stuffing. Still, even on turkey day, most people will start their morning with chicken eggs. Why are turkey eggs so unpopular? Because they’re expensive. Chicken hens are egg-laying dynamos, dropping one almost every day, while a turkey produces only about two per week. Chickens begin laying eggs at about five months of age, but turkeys don’t have their first cycle until more than two months later. Commercial egg producers typically, although controversially, allocate less than 50 square inches of space to a hen. Turkeys are given more than 3 square feet, enough to accommodate eight chicken hens. Turkeys also require more food than chickens. These factors combine to make turkey eggs far more expensive than chicken eggs. A dozen chicken eggs currently cost approximately $1.61. (Cage-free eggs cost twice as much.) There’s no nationwide data on the cost of turkey eggs—the USDA doesn’t even have grading regulation for turkey eggs—but many producers sell them for $2 to $3 per egg. Turkey eggs used to be a menu staple in North America. 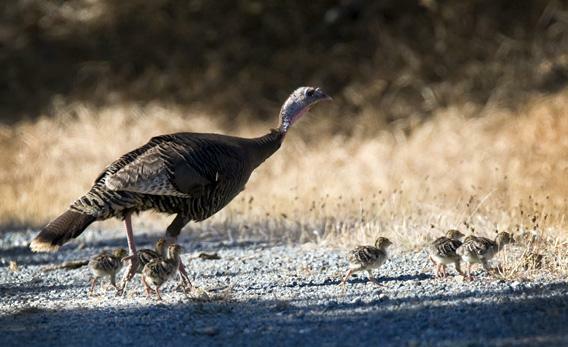 Wild turkeys roamed the continent before the arrival of humans, and archaeologists have found turkey-egg shells at the encampments of pre-Columbian Americans. Hopi Indians consider the eggs a delicacy. (The Navajo ate only the flesh of turkeys, however, European settlers noted.) Europeans took domesticated turkeys across the Atlantic in the 16th century, and turkey eggs were soon a part of Old-World cuisine, particularly in England. Americans also served them until fairly recently. Turkey egg omelettes were a regular offering at New York’s legendary Delmonico’s restaurant in the late 19th century. Turkey eggs have been the subject of slander on the continent—French commentators in the 1500s and 1600s claimed that the eggs caused leprosy. (In fact, the microbe Mycobacterium leprae causes the disease. Armadillos transmit the pathogen to humans, but turkey eggs do not.) Turkey eggs contain most of the same nutrients as chicken eggs but are richer. The average turkey egg is 50 percent larger than a chicken egg, but contains nearly twice as many calories and grams of fat and four times as much cholesterol. Duck and goose eggs also contain more fat and protein than chicken eggs do, which is one reason why most people find “exotic” eggs more flavorful than the ubiquitous chicken egg.